When the topic of prepaid users was brought up in our office, we scoffed at the idea of any young working adult actually using prepaid phone plans in 2017. A quick Facebook status asking around however proved us wrong, and we set out to find actual data. It turns out, the big 3 telcos are still offering prepaid plans for very competitive prices and the plans are one of their biggest draws. For example, out of 12.3 million mobile subscribers with Digi right now, 10.2 million of them are prepaid users. We then knew that prepaid is still massively popular. But why? We set out to find the reasons behind hungry-for-data Malaysians still opting for the pay-per-use method. Most postpaid users know the shock of opening up your bill at the end of the month and being surprised at how much you’re going to have to pay. Prepaid users don’t have this problem because they get constant notifications for every time their credit goes down. Yes, postpaid users can get information via the apps or via SMS, but not everyone uses those services. Because prepaid usage is so visible, you’re better able to budget your spending for each function too. You have a really good idea for how much you use per month, exactly when you use it. On top of knowing that the last phone call they made cost them exactly RM42.02, this also protects prepaid users from having to pay for hidden fees, and they’re never going to run into the problems of getting charged RM42K for roaming. With prepaid, once you run out of credit, that’s it. Your bills don’t just keep accumulating. Prepaid plans are known to be cheaper than postpaid (which is a whole point on its own) but on top of the lower price point, you’re also able to buy a lower-tier prepaid plan, then use it as a jumping point to customise a plan that is suitable for your use. Buying add-ons for prepaid is also much cheaper than add-ons for postpaid. Using Digi as an example, they offer a large variety in the types of add-ons you can use to make your own plan. All of Digi’s prepaid internet plans come with free Facebook use, and you can for instance, choose to pay RM38 extra for 4GB + 1,000 mins of calltime to all networks. This is on top of the 10GB that you already get from Digi Prepaid Live plan. This means that your video and music streaming needs on iFlix, Joox, Spotify or YouTube are all covered. Instead of trying to make-do with the set plans offered by postpaid, prepaid users have the leeway to create a plan that best benefits them. Struggling parents (and their guilty children) are definitely familiar with the monthly headache that comes from when the bill comes in that month. That’s when you realise that your child has raked up a lot of phone use over the month that you now have to pay for. Or, you’re an employer who wants to give your best staff a company-issued phone, but also worry that your employee will abuse your generosity to make 500 international calls to their bae in Taiwan. The solution then, is simple. Parents can get their child to a prepaid line with a set amount given to them a month, and any extra use will have to come out of their own allowance money. Employers, too can do the same and any extra use can then be on the employee’s dime. With postpaid, whatever calls, texts or data that don’t get used up in a month will be burned and wiped clean to start fresh the next month. 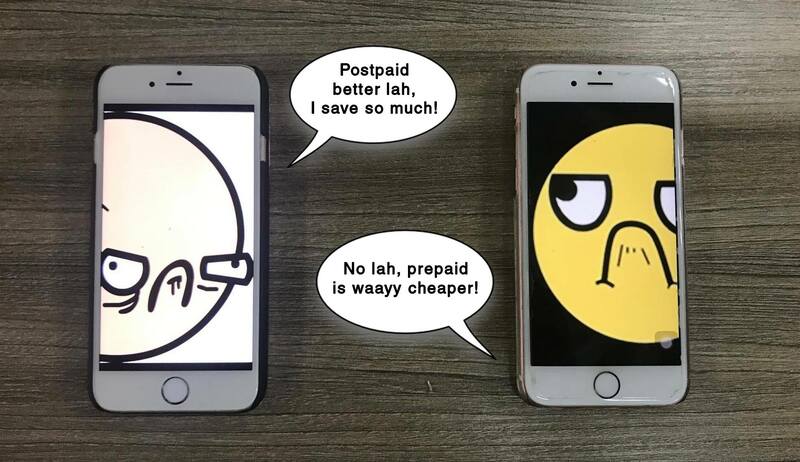 Postpaid users could end up paying RM80 for a plan when they only use half of everything on offer. 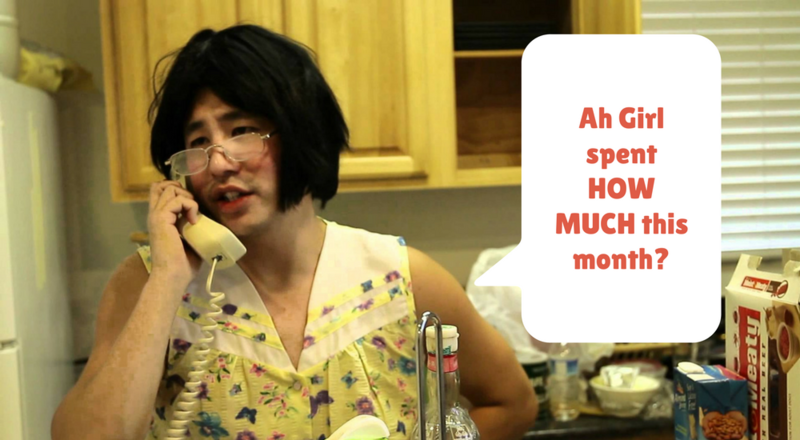 Your use of the phone on a monthly basis might be different. You might need more data for the month where you travel around outside your office and need less on other months where you’re mostly home and eternally connected to wifi. Typically with prepaid, whatever credit that doesn’t get used up in a month gets carried forward to next month so you pay for exactly how much you use. There are also users who find the process of paying monthly very troublesome. They take a multi-month credit plan and just pay the lot in one go. After that, they only need to pay every 4 months or so. It’s also convenient for foreigners and frequent fliers. One of the standards of this always-connected age when travelling is to buy a prepaid plan to get at least data for your phone in any country you’re visiting. After all, who wants to lose access to Facebook and other social media platforms during travels? One big advantage of having a prepaid line is that even if you run out of credit, you can still receive calls. Meanwhile, postpaid users who haven’t paid their bills stand the risk of their line getting cut. Whether you use RM100 a month or pay only dust that month, you’re still able to maintain your number. When it comes to bootstrappers or those who have very little to spend on mobile per month, not having a commitment can be a huge weight lifted off their shoulders and allows them to focus on other things. The takeaway from this is that prepaid offers a lot more flexibility for you to customise your own ideal plan. With Digi’s prepaid extras, you definitely get to cater the plans to how you like to use your mobile. One of their newest add-ons is the RM38 Internet Plus that nets you 4GB of internet, free Facebook use and 1000 minutes of calls. As this comes on top of 10GB of internet on the existing prepaid plan, this means that you have a total of 14GB of data. Free Facebook usage also means that you’re able to watch or livestream as many videos, upload as many shots and constantly keep everyone updated with your status wherever you are. The plans do renew monthly, but in theme with the flexibility of prepaid packages, you can easily choose to cancel or switch between the plans available. Customising your prepaid plans to suit your monthly mobile habits is easy. This article was brought to you by Digi. Find out more about Digi Prepaid InternetPlus Plan here.